A few minutes later, Palo Alto High School freshman Max Bonnstetter takes a deep breath and steps out past the blue curtains and onto the Tonight Show’s stage, where Jimmy Fallon and Bryant are waiting to shake his hand. He takes his seat on the blue couch next to Bryant, one of his lifelong idols. While around Paly, Bonnstetter is usually recognized as a sports reporter on InFocus. What most people do not know is that he is a successful reporter for Sports Illustrated and the Junior NBA, who even appeared on The Tonight Show with Jimmy Fallon. 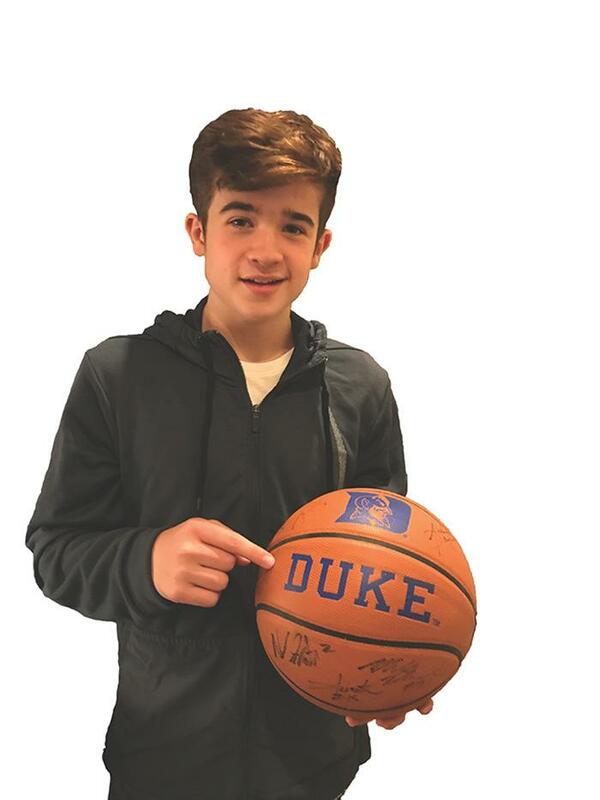 For a long time, Bonnstetter was just a kid in New Jersey with a passion for sports and a hobby of reporting, until one day, when he was 11 years old, he happened to stumble across an extraordinary opportunity advertised in Sports Illustrated Kids: a contest to become a Sports Illustrated Kids reporter. “I was like wow, that seems really cool. Maybe I could do that,” Bonnstetter says. Inspired, Bonnstetter began looking for a memorable story and found one in a local high school basketball coach named Bob Hurley. At the time, Hurley had been coaching a team in an under-resourced neighborhood in Jersey City for 49 years. With a story and a vision, Bonnstetter got to work. He interviewed the team and Hurley, attended games and wrote his story on Hurley’s life-changing impact on the players. After submitting, he sat back and waited for a response, which he was told would come in October. October came and went without a response and November passed in the same way. By mid-December, Bonnstetter was convinced he had not won the competition. Then, one day in February, he received an email. Bonnstetter was officially a Junior Reporter. His reporting career began with college basketball. Bonnstetter would attend games and then interview coaches and players afterward in press conferences or locker rooms. Traveling from city to city, game to game, especially during March Madness, when the games are the most important and publicized, Bonnstetter soon garnered a reputation of asking unique, thoughtful questions. Bonnstetter had researched South Carolina and had noticed a trend of opposing teams consistently scoring fewer points against them than the team’s normal average, and he discovered that it was their defense that had carried them so far in the tournament. Martin was impressed and Bonnstetter recalls him saying “that’s a heck of a question.” At a later press conference, Martin even asked where Bonnstetter was in an attempt to get better questions. The video quickly went viral, amassing over a million views on Facebook, and Bonnstetter’s career took off. Soon, Bonnstetter was on Sports Center and various other radio shows. After only one year as a reporter, he received a call from The Tonight Show’s producers inviting him onto the show. On The Tonight Show, he interviewed Kobe Bryant with Jimmy Fallon, asking Bryant questions like “what was it like having such a giant paycheck at such a young age?” and “who’s the next Kobe Bryant” It was after this that Bonstetter became verified on Twitter and Instagram. Although Bonnstetter reports mostly on basketball, he has also reported on other sports such as football, baseball and golf. He also plays golf and reports on golf tournaments with his grandfather, who lives in New Jersey. “My grandpa … taught me to play basketball, taught me to be a good person, taught me to play golf, almost everything that I love right now is because of him.” Bonnstetter says. Recently, Bonnstetter has been covering the Warriors in the NBA preseason and regular season as a member of the Junior NBA. Before games and during half-time, he hypes up the crowd on the jumbotron. He plans to once again cover March Madness for Sports Illustrated in 2019. In the meantime, Bonnstetter is one of InFocus’ newest sports reporters. Whether for InFocus or Sports Illustrated, Bonnstetter hopes to continue his reporting career.